Agate Slabs - Large Gorgeous! 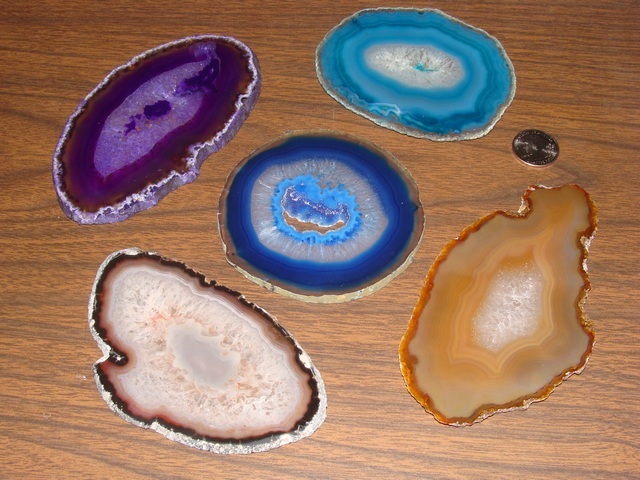 Each agate slab is very flat and very polished. Crystals can be seen in the center of most of them. They range in size between 5 and 6 inches in diameter. These are great to glue pewter figurines on to. Often used in jewelry and craft projects. These are just beautiful to have.